Monica in Steveston :D Mirai School girl in spring! I’m really excited about this blouse design, since it is essentially a 2 way blouse! 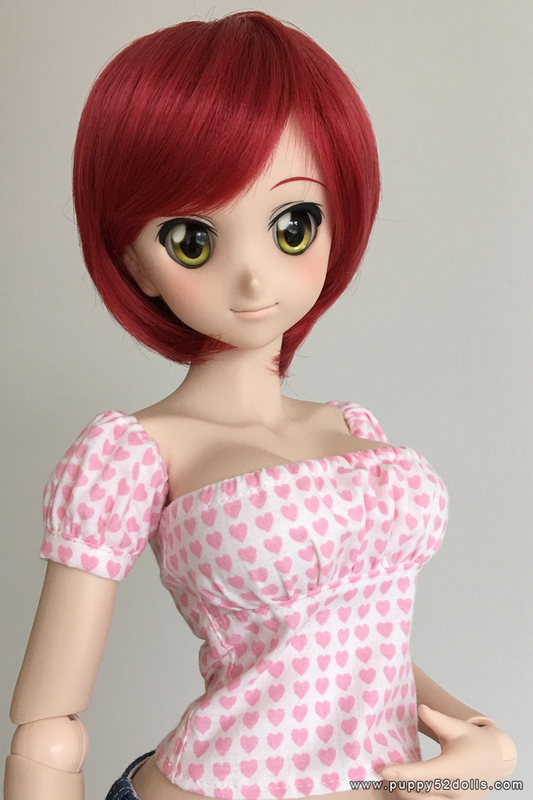 :D the sleeves are removable for 2 different looks :) Below Mirai is modeling sleeveless in Smart Doll L-bust. Also without sleeves the blouse can be worn under a cardigan or a jacket without additional bulk. 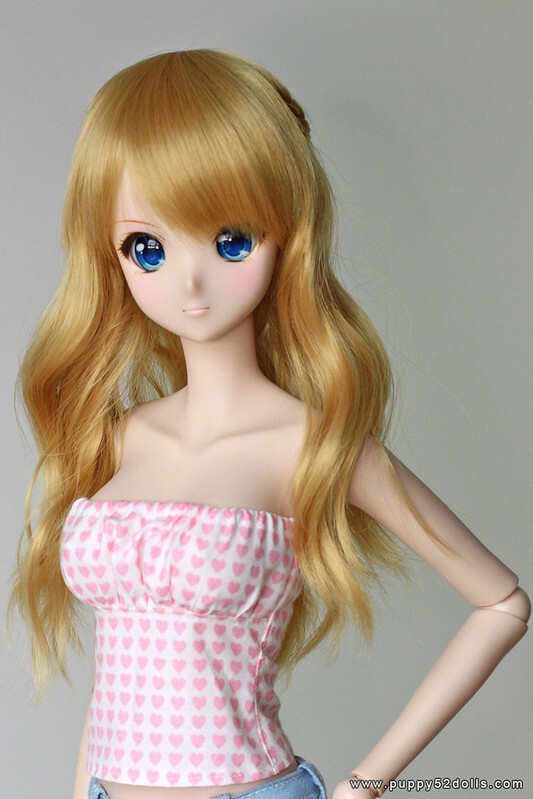 Below Kizuna is modeling it with sleeves in Smart Doll L-bust. This wonderful hearts fabric came in 2 colour ways at the time I found them a few years ago, I had to get both! I was asked if this is available for Dollfie Dream Dynamite body, and guess what, this design is very versitile, it fits the curvy Dollfie Dream Dynamite body too! Also fits M, L DDII, DDIII bodies. Nyanko modeling it with sleeves in Dollfie Dream Dynamite body. The 3rd blouse available is made with this adorable colourful hearts Japanese Fabric by Sevenberry ^o^ Below Mirai is modeling sleeveless in Smart Doll M-bust. 2 Responses to Feeling the love? I love these tops and shorts, are any of these for sale? Would love to have some!